2nd Series crank case (#120560) 3rd Series blocks, Carb, Intake & Exhaust manifolds. Claimed to be first series chassis and body, seems to be. Body has plate inside firewall passenger's side with a 1914 date. 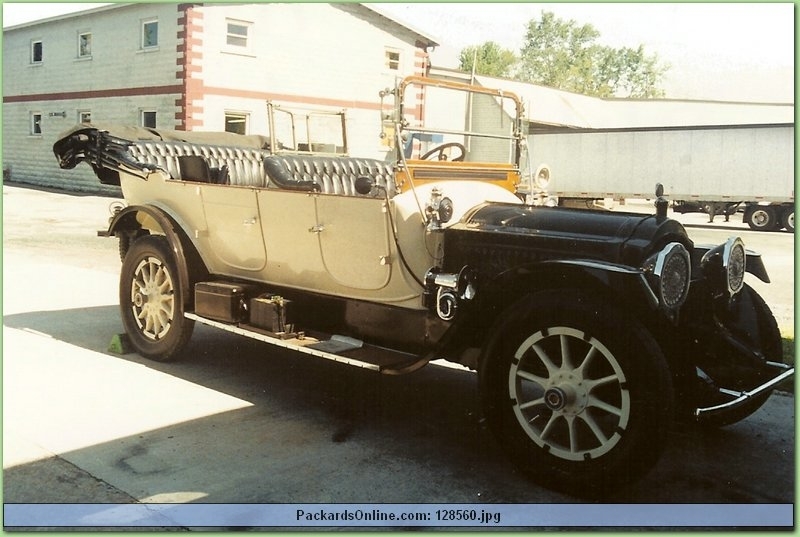 There is another plate on the engine side of firewall that says Motor number 80002 Packard Motor Co. A third plate indicates manufactured 1914. Incorrect wheels, 25" split rims.